What Do the Forms in Your Coffee or Tea Cup Mean? Also known as reading coffee or reading tea leaves, tasseography is a divination practice dating back thousands of years. Over this time, many symbols and interpretations have been built up. 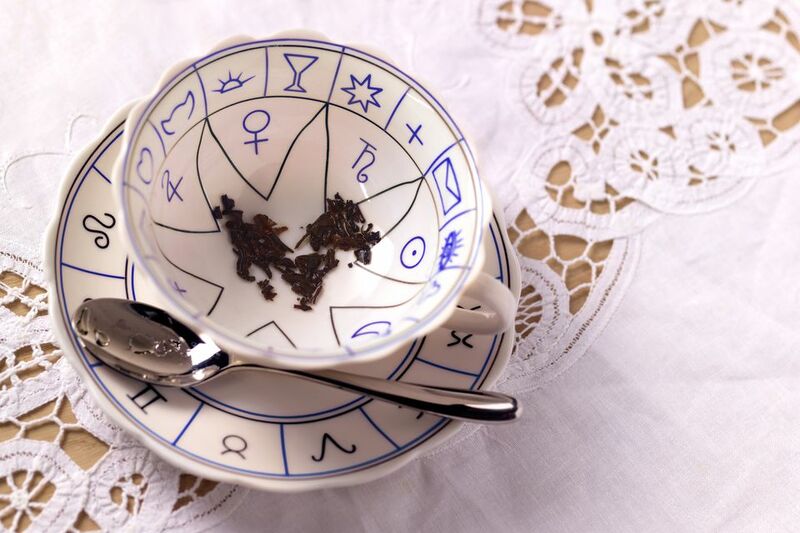 While it is important to note that the specific question or wish made by the querent is essential to uncovering the true meaning of each symbol, there are some general guidelines to the meanings of different forms found in your tea cup or coffee cup during a coffee reading or tea leaves reading. Snakes: a bad omen; take caution! A clover near the top of the cup means good luck will come soon, but the closer it gets to the bottom means the more distant the luck is. A dog symbolizes good friends if near the top of the cup, unfaithful friends if near the middle and secret enemies if at the bottom. How the symbols interact with other, nearby symbols can change their meanings, as well. For example, hands are interpreted in relation to what's near them, such as what they are pointing toward or reaching toward. Divide the cup into vertical halves (left and right), using the handle to the right as an anchor point. The symbols on the left side are potential negative outcomes, while the symbols on the right are potential positive outcomes. Divide the cup in the same way, but use them to answer "yes" or "no" to the question of the querent. Divide the cup into horizontal halves (top and bottom). The bottom half signifies the past and the top half signifies the future. Bags or Loose? Which Makes the Better Cuppa? What Are Flowering Teas and Do They Taste Good?